TX Rio. All is well! Re: Ol’ Bess Doin’ Work! Congratulations. Hope to get a Rio next year or the following. I asked the guy at the gun shop to look for a double barreled flint lock for me. Congratulations! 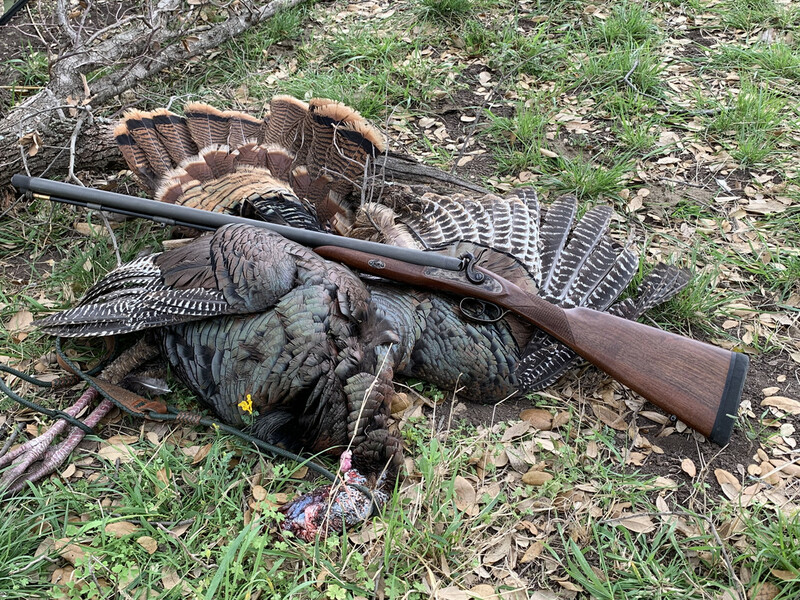 It's awesome to see a bird taken with an old sidelock. I'm going to try my Cva gobbler 12 this season. Congrats! Saw this picture first on another forum. Hope you will add a little info on load used for this forum. Thanks. Very nice, picture and bird. Still have not seen one flopping as the smoke clears, but I am trying.